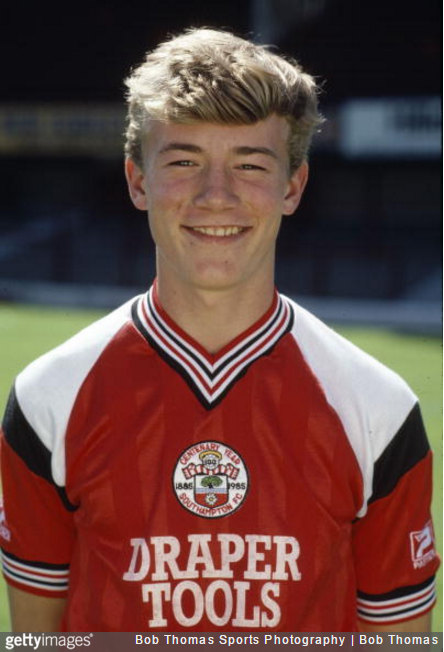 On 8th April 1988, Southampton’s prized young gem, a spindly blonde urchin by the name of Alan Shearer, opened his senior goal-scoring account in style. At the tender age of 17 years and 240 days, Shearer got things under way with a hat-trick against Arsenal at The Dell and, in doing so, became the youngest player to score a hat-trick in the top flight of English football. The picture above shows 15-year-old Shearer shortly after he’d signed for the south coast club. The rest of Shearer’s career didn’t pan out too badly either. In fact, he went on to score 11 Premier league hat-tricks – still a record to this day. He also scored the most goals in a 42-game season (34 in 1994/95, held jointly with Andy Cole) and the most goals in a 38-game season (31 in 1995/96). For Southampton, he scored 43 goals in 158 appearances, but really made his mark at Blackburn and boyhood team Newcastle, for whom he is the highest goalscorer in club history, with 206 goals. Shearer finished up with a monumental 260 Premier League goals to his name, almost 70 goals ahead of the second-highest scorer on the all-time list: Wayne Rooney with 192.